Power that’s anything but mini. 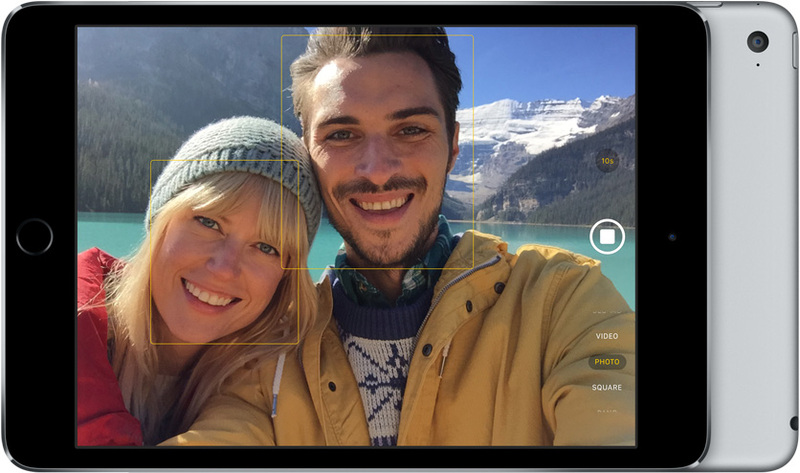 The camera in iPad mini 4 delivers advanced optics, an improved sensor, and an Apple‑designed image signal processor. It also includes handy features like panorama, time‑lapse video, slo‑mo, and burst and timer modes. The front‑facing Face Time HD camera has been redesigned, too, with a refined sensor and larger pixels for even better low‑light performance. The upshot? All your photos and videos — and video calls and selfies — look incredibly vivid. 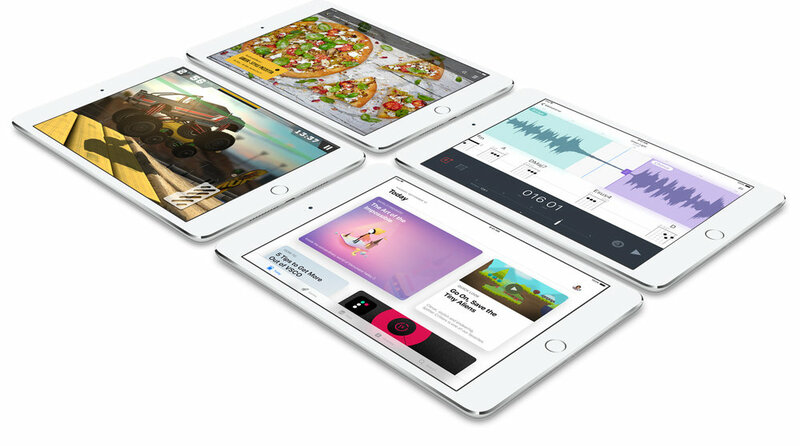 iPad mini 4 uses Touch ID technology to turn your fingerprint into the perfect unforgettable password. So you can unlock your device with just one touch and keep your personal data secure, even if you share your iPad with someone else. Touch ID also lets you make secure purchases in iTunes, iBooks, and the App Store. And with Apple Pay, you can make purchases within your favorite participating apps, and on the web quickly, conveniently, and securely. 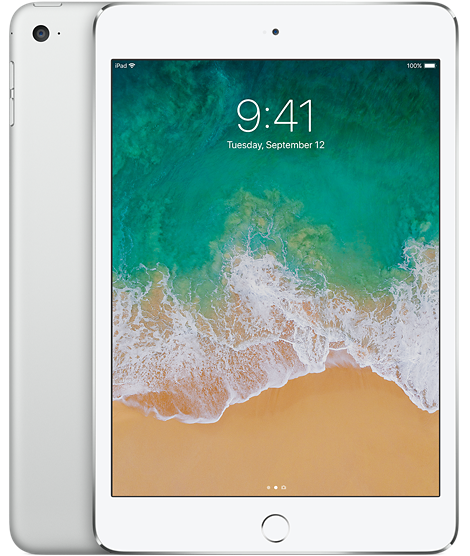 iPad mini connects to fast Wi-Fi and cellular networks, so you can download content, browse the web, and share documents from virtually anywhere. When you’re not near a Wi-Fi hotspot, the Wi-Fi + Cellular model connects you to fast cellular data networks around the world.2 And with Apple SIM, you can choose a plan quickly and easily in over 180 countries and regions right from your device. Made to do more together. 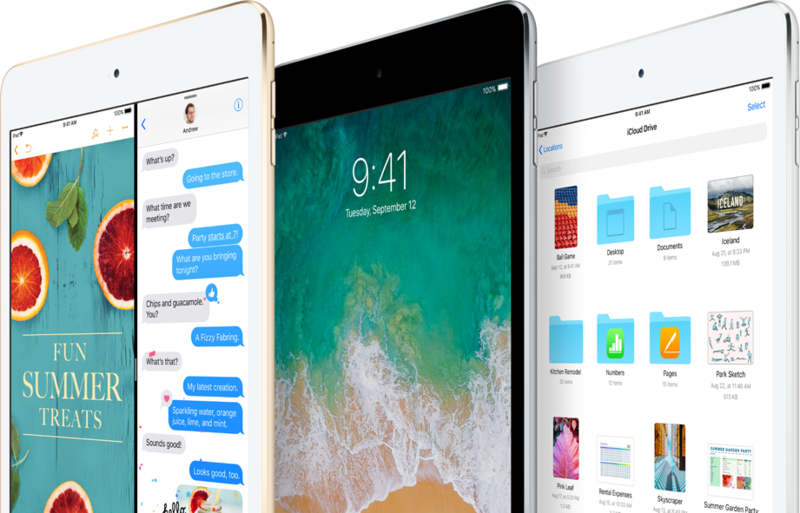 iPad mini 4 runs iOS 11, the most advanced, intuitive, and secure mobile operating system in the world. With enhanced apps and features like the new Dock, Drag and Drop, multitasking, Slide Over, Split View, and Picture in Picture, iOS 11 lets you multitask in powerful yet simple ways. Whether you’re checking messages while answering email or creating a presentation while watching the big game, iOS 11 helps you get more out of iPad than ever before. And everything you want to do with it. 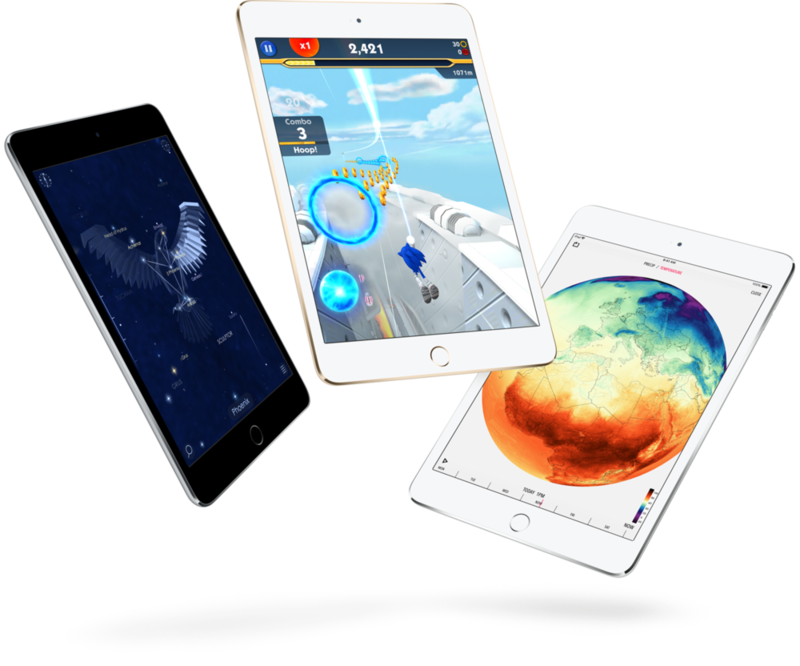 iPad mini 4 comes with powerful built-in apps for the things you do every day, like surfing the web, checking email, editing movies and photos, writing reports, and reading books. And there are even more incredible apps on the App Store designed to take advantage of its Retina display (instead of simply stretching out iPhone apps). So whether it’s photography, gaming, traveling, or managing your finances, you’ll find an app that will help you do it better.